Australia fifth prime minister in five years comes from within the same party but with a different philosophy it seems. Yesterday we had a Conservative government. Today we have a Liberal one. And one reason challenger Malcom Turnbull was successful in toppling incumbent Prime Minister Tony Abbott was economics, or so the victor claims. Malcolm Turnbull in his assault before the spill claimed that a political leader must always have an economic narrative, a story to tell and to explain to the public (again and again until it is understood). In short, he claimed, leadership is about advocacy not three word slogans. 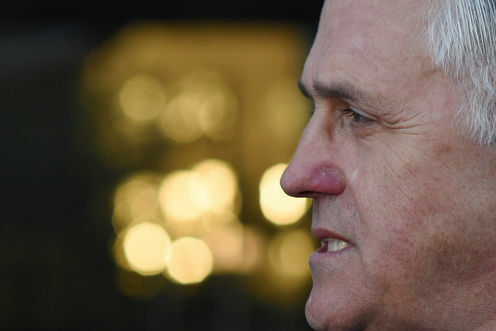 Indeed the outgoing prime minister’s inability to answer ABC TV journalist Leigh Sales seemingly straightforward questions on Australian economic performance (instead falling back on “we stopped the boats”) helped trigger the spill that cost Abbott the nation’s top job. In effect, economics, or lack of interest in economics, killed off an incumbent prime minister in just two years after he was elected with a comfortable majority. What happened to economic literacy? This is certainly a different Australia to 24 years ago when economics played a primary role in political debate. When I returned to Australia in 1991 after several years in the UK and USA (and for a short time Israel) I was amazed at the high standard of economic debate in political life. Our long serving Prime Minister Bob Hawke was a trained economist and the former ACTU advocate that brought economic arguments into the arbitration commission to educate judges and the public. His Treasurer Paul Keating was hitting talk back radio explaining the banana republic, the J curve, and the current account. The ACTU was headed by the economics trained Bill Kelty. The Opposition was headed by John Hewson, a former professor of economics at UNSW, who had held a number of senior roles at the IMF, Reserve Bank and in the private sector. In fact, Hewson later lamented that Tony Abbott, his former staffer “wasn’t interested in economics”. This would lead to his demise as Liberal leader and later Prime Minister. Remember this was a time when John Kerin (after the first Keating challenge to Hawke) lost his job as Treasurer for not knowing what G.O.S. (gross operating surplus) stood for in the national accounts. We were a tough crowd then too! But 24 years on (without a recession despite an Asian financial crisis dot com crash and the global financial crisis), our standards of economic literacy in public life plummeted. As well as a PM disinterested in economics, we had a Treasurer making gaffes about poor people not driving cars, a trade union movement opposing a free trade agreement with our number one trading partner and a business community a shadow of its former self (like the ACTU, Geoff Allen’s BCA had some influence on policy during the Hawke-Keating years). Maybe with the ascendancy of Malcolm Turnbull that can change and politicians can take economics seriously again. And Australia can avoid the anti-economics anti-intellectual populism of the British left under Jeremy Corbyn and the American right under the Tea Party and Donald Trump. Turnbull can junk the “debt and deficit economic emergency” rhetoric of the first Hockey budget and do serious work on fiscal policy. He can put market mechanisms and incentives back into climate change policy instead of handing over taxpayers dollars to rent seeking polluters. He can re-embrace the Asian century in terms of trade and investment and take a more nuanced stance on industrial relations to help raise living standards and productivity. He could even drop the divisive and expensive trade union royal commission in exchange for support for ChAFTA and further FTAs with a guarantee on labour market testing. After all the founder of the Liberal Party Robert Menzies often told his MPs when you complain about trade unionists remember half of them vote for us. Turnbull could embrace a more consensual model in the Menzies tradition. Turnbull could even use economic advocacy in other social and constitutional issues like marriage equality and the republic. For example, he could ask why our supposed head of state (or by proxy Prince Andrew) lobbies for British exports and contracts against Australia in China and other countries in Asia. My colleague Richard Holden and I suggested that embattled Tony Abbott make Turnbull Treasurer after the spill in February. He didn’t and now Turnbull has gone one better. He has made economic credibility and his ability to explain economics the cornerstone of his prime ministership. Turnbull is right because all political leaders, Liberal, Labor, and yes even the Greens, need economic literacy, a good temperament, and a treasurer with authority, to succeed. Now it’s Malcolm Turnbull’s moment to make this promise a reality.